Not much to share right now. I've been working on some things that I can't post yet. I hate when I go through periods like these because I love sharing projects on my blog. I can share this one, though. I made it for a colleague last week. Seems like I've been having to do a lot of these lately, unfortunately! 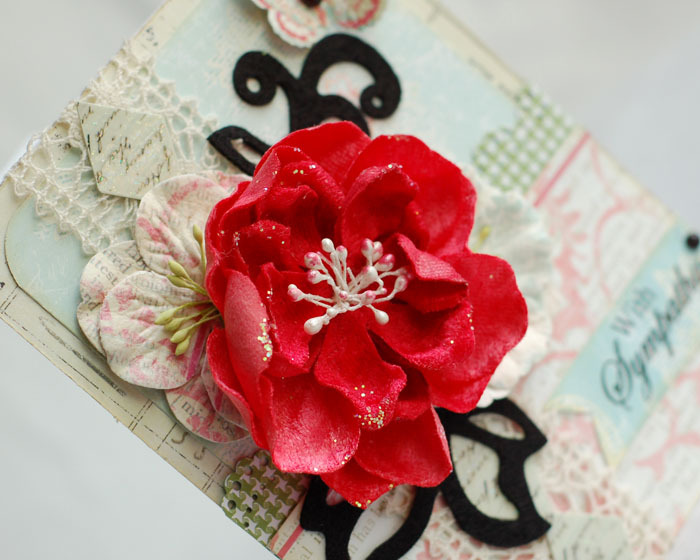 I used lots of Prima goodies on here - paper, felt and flowers. 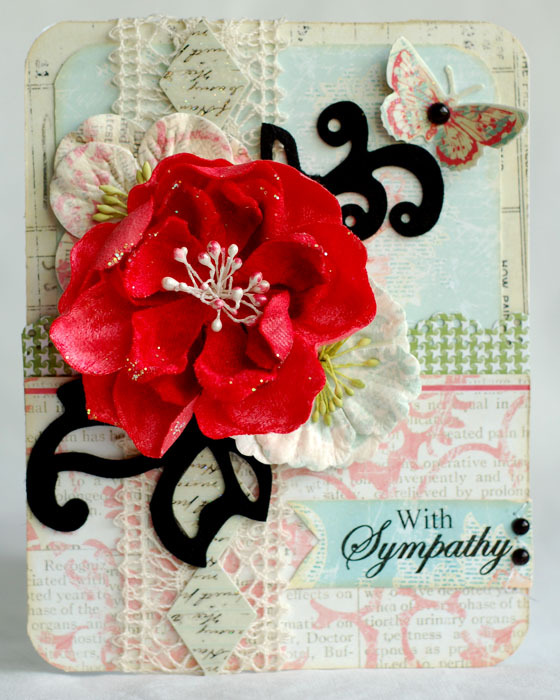 I thought the touch of black really helped make it seem like a sympathy card without making it look depressing! This is such a lovely design! It's beautiful! This is gorgeous. How do you get this in an envelope? So soft and so pretty, just right for a note of sympathy! Lovely as usual! I just adored your work! Really lovely - I agree with you about the black.